The Supreme Court has declined to place fetters on legislators practising law. 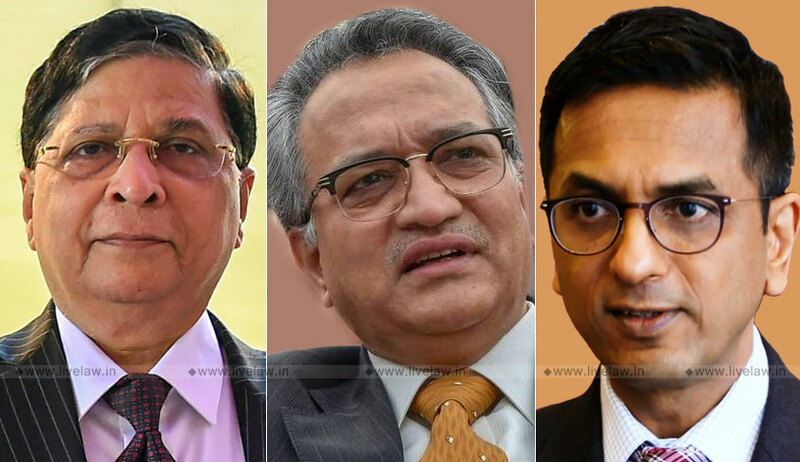 The argument that being a legislator is a full time engagement which affects their commitment to legal profession was rejected by the bench of CJI Dipak Misra, Justice A M Khanwilkar and Justice D Y Chandrachud. "Legislators cannot be styled or characterized as full-time salaried employees as such, much less of the specified entities. For, there is no relationship of employer and employee", held the judgment authored by Justice A M Khanwilkar. The PIL filed by Ashwini Kumar Upadhyaya contended that Rule 49 of the Rules framed by the Bar Council of India prohibited an advocate from being a full time salaried employee of any person, government, firm,corporation or concern, so long as he continues to practice. According to him, being a legislator was a full time engagement, which earned 'salary' and other allowances from the Consolidated Fund of India. It was also his case that legislators doubling up as lawyers created several situations of conflicts of interest; it will also divide their attention preventing them from dedicating completely to either of the areas. The Court held that Rule 49 was not applicable in case of legislators as it was not a full time salaried employment. "The mere fact that they draw salary under the 1954 Act or different allowances under the relevant Rules framed under the said Act does not result in creation of a relationship of employer and employee between he Government and the legislators, despite the description of payment received by them in the name of salary", observed the Court. The Court held that the decisions in Satish Kumar Sharma Vs. Bar Council of H.P. ( holding that law officer engaged by a company for not acting and pleading in court cannot be enrolled as an advocate) and Dr. Haniraj L. Chulan vs. Bar Council of Maharashtra and Goa (holding that a full time medical professional cannot be enrolled as an advocte) were inapplicable in case of legislators, as "their status is sui generis and certainly not one of a full-time salaried employee of any person, government, firm, corporation or concern as such"
"the participation of the legislators in the House for the conduct of its business, by no standards can be considered as service rendered to an employer. One ceases to be a legislator, only when the House is dissolved or if he/she resigns or vacates the seat upon incurring disqualification to continue to be a legislator. By no standards, therefore, Rule 49 as a whole can be invoked and applied to the legislators", held the Court. The reliance placed by the petitioner on the Constitution Bench decision in M. Karunanidhi v Union of India where a Chief Minister was held to be a "public servant" within the meaning of Section 21(12) of the IPC was unsuccessful. "The fact that the legislators draw salary and allowances from the consolidated fund in terms of Article 106 of the Constitution and the law made by the Parliament in that regard, it does not follow that a relationship of a full-time salaried employee(s) of the Government or otherwise is created", Court observed while holding Karunanidhi decision to be inapplicable. The Court rejected the argument that lawyers being legislators would amount to professional misconduct. "whether it is a case of conflict of interest or professional misconduct would depend on the facts of each case. That fact will have to be pleaded and proved before the Competent Authority. There can be no presumption in that regard, merely on account of the status of being a legislator", held the Court answering this issue. The alternate relief sought by the petitioner to declare Rule 49 as unconstitutional for excluding the class of legislators from its application was also declined. This decision is a reprieve to Senior Advocates Kapil Sibal, Abhishek Manu Singhvi, P. Chidambaram, K T S Tulsi, Ashwini Kumar and Advocate Meenakshi Lekhi, who are currently MPs.